Lately, I've been loving the more neutral shades, especially paired with a neon or glitter polish. So when my eye caught this neutral base packed with glitter, I had to have it! 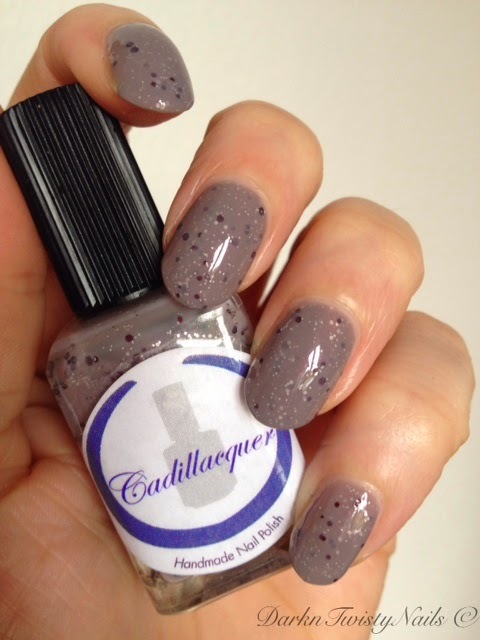 Cadillacquer Have a little faith is a grey/taupe/purple base packed with darker grey/taupe/purple and silver glitter. I know... great color description, but it really looks different in every light and I'm sticking with grey/taupe/purple! The formula was really nice, easy to paint, with a good glitter payoff and it dried fast and glossy. It's opaque in 2 - 3 coats, depending on how thick you do your coats, I only needed 2. Because this is a glitter polish, I would recommend using a top coat to smooth it out. I absolutely love it! It's such a sophisticated polish, it's totally work appropriate, but still packs a glitter punch! When the sunlight hits the nail, the silver glitters come out to play and make this polish sparkle. 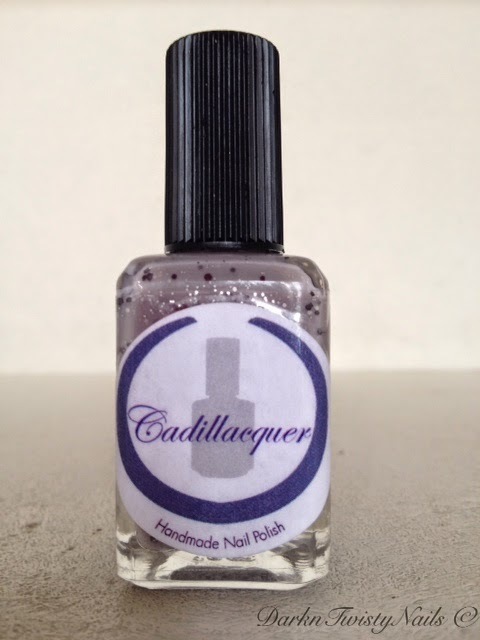 This is my one and only Cadillacquer, but I already know I want more! I have my eye on Seek the fire, State of Emergency and Have a killer day. 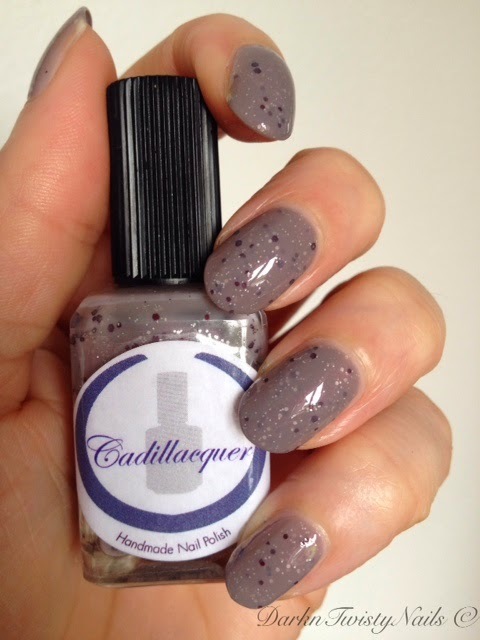 Cadillacquer is a Swiss indie brand owned and made by Madeline. All polishes are inspired by her favourite songs, movies, games and tv-series and are 3-free. Do you enjoy a nice neutral polish or are you more of a bright kind of girl? I absolutely LOVE this polish! Gorgeous!! Hij is echt heel erg leuk! Op eerste gezicht geen kleur voor mij, maar hij is door de aparte base en glitter so gaaf! Vind de kleur een stuk minder dan de kleur in je vorige post. Het zijn de glitters die het hem doen. Soms wil je even geen knalkleur, maar juist iets rustigs. Dan is dit lakje perfect! You made me want chocolate too... oh hell, I always want chocolate, hahaha!